March 14, 2018. Kayla Gu spoke to the University of California Board of Regents on behalf of UAEM, UACT, and KEI, urging UCLA to drop the patent claim on Xtandi in India. September 19, 2017. UACT received a letter dated September 7, 2017 from the David Geffen School of Medicine at UCLA sent a letter on behalf of the University of California to UACT’s recent letters on the Xtandi patent in India. September 13, 2017. Emily Leonard, a US Navy veteran and UC San Diego alumna, spoke on behalf of UACT and UAEM before the University of California Board of Regents, delivering a copy of the letter sent to the Regents on May 24, 2017 asking the University of California to drop its pursuit of a patent on Xtandi in India. August 9, 2017. UACT sent a letter to Sherry Lansing, the former Paramount CEO and current member of the Board of Regents of the University of California, to stop the Regents’ efforts to obtain a patent on the prostate cancer drug enzalutamide (brand name Xtandi) in India. The Board had yet to reply to UACT’s May 24, 2017 letter. April 19, 2017. UACT and KEI sent a letter to Secretary Tom Price of the Department of Health and Human Services, and to Secretary Jim Mattis of the Department of Defense, requesting that the Trump Administration reevaluate the January 2016 Xtandi petition that the government use its rights in patents under the Bayh Dole Act (35 U.S.C. §§ 200 et seq.) for the excessively-priced, blockbuster drug enzalutamide (marketed by Astellas Pharma as Xtandi). January 14, 2016. 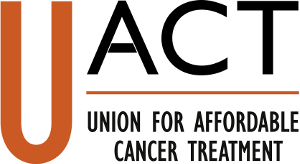 UACT and KEI submitted a request that the US government exercise its march-in rights on Xtandi, a prostate cancer drug initially developed at UCLA with federal funding. A press release outlining the issue and the request is available here. March 21, 2016. A group of 11 non-profit organizations submitted a letter to the NIH in support of UACT and KEI’s petition to exercise its march-in rights to lower the price of Xtandi, a drug developed in the US, but which costs US patients more than other high-income countries. March 28, 2016. In a letter from both side of Congress, twelve Senators and Representatives sent a letter to HHS Secretary Burwell and Director Collins at NIH calling for a hearing to discuss the issues surrounding high priceddrugs such as Xtandi and the need for the NIH to exercise its march-in rights. Signatories to the letter included: Sen. Bernard Sanders (I-VT), Sen. Al Franken (D-MN), Sen. Patrick Leahy (D-VT), Sen. Sheldon Whitehouse (D-RI), Sen. Elizabeth Warren (D-MA), Sen. Amy Klobuchar (D-MN), Rep. Lloyd Doggett (D-TX), Rep. Peter Welch (D-VT), Rep. Elijah Cummings (D-MD), JRep. Jan Schakowsky (D-IL), Rep. Rosa De Lauro (D-CT), and Rep. Mark Pocan (D-WI). April 26, 2016. The Canadian company Biolyse wrote to US Medicare to offer to manufacture generic version of Xtandi for a fraction of the price of Xtandi. June 30, 2016. National Institutes of Health responded to UACT and KEI’s request and declined to exercise its rights to lower the price of Xtandi. NIH Director Francis Collins informed UACT and KEI that the NIH would not take action to lower the price of Xtandi, rejecting the petition without addressing the obligation to make the drug available on reasonable terms. For more discussion of the NIH response to the march-in request and statements by KEI and other groups, please visit: KEI’s blog. When discussing the high price of drugs, neither advocates nor the companies should ever forget the heart of the issue, the patients. Upon hearing of our request, UACT and KEI received a letter from a prostate cancer patient who, despite having insurance, is sinking under the weight of his exorbitant co-pays. Read his full letter here.